The ancient and the mystical, the ethnic and the spiritual. They all come together at this tribal / ambient meeting place where the two principals bring together their concept, a logical follow-on to the duo’s first appearance together at the 2010 SoundQuest festival in Tucson. Nerell has a long resume working in trance/drone worlds where he has coupled those ideas with a deep knowledge and understanding of Balinese gamelan music, and is a superb sound engineer to boot. Seelig is a master of the bansuri flute and overtone singing, with several collaborative releases to his credit. Joining the duo is German world percussionist Max Link, and track depending, Indian sarangi master Pankaj Mishra, wordless vocalist Katherine Wright, Gabi Link on saron, and Steve Roach on Ocarina. 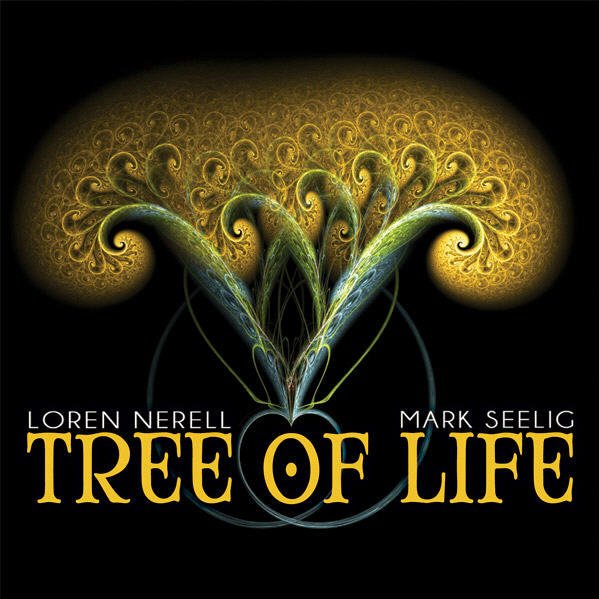 As one might expect, Tree of Life brings forth a transcendant, floating style that unfolds slowly and evolves thematically across the album’s six lengthy tracks, which all flow together. The sound varies from sparse to dense, where Nerell takes the lead with gamelan instruments in some passages, and Seelig drives with bansuri in others, with the other players integrated organically in this seamless fabric of shimmering and mesmerizing pan-cultural stylings. Here, electronic sounds play a more minor supportive role, this is primarily an acoustic driven concept moving from one idea to the next, bringing in the subtle and overt influences from India, Southeast Asia, North and South America, point in time depending. To underscore, this is not your standard floating ambient music borne of synthesizers and samples, but something far more organic and down-to-earth, but equally beautiful, haunting and compelling.